Perhaps it’s fitting that Tennessee clinched bowl eligibility in the city that it last played in a bowl game in. It certainly wasn’t the convincing performance that many fans hoped for, but in terms of this team reaching its goals for the entire season, Saturday was a huge success. It was an emotional post-game scene that started in front of a largely orange-dominant crowd in Nashville and spilled into the locker room area where there was plenty of singing, celebrating and several tears shed by some veteran players who knew the disappointment of coming up short in the past all-too-well. Injuries obviously played a huge role in that game from Tennessee’s standpoint. We recapped most of those in our post-game notes, but most of the questions we’ve received have been about who Tennessee can expect to have back for its bowl game. The good news, though it’s not confirmed, is that we believe Jalen Hurd should be fine for the postseason after getting a little bit of rest. The team doctors appeared to be going through concussion protocol with him on the sideline after he checked out of the game in the first quarter. 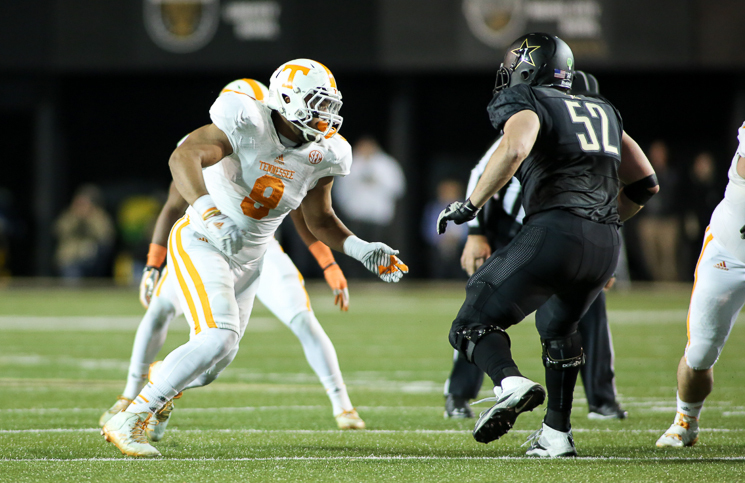 His helmet was taken away because Tennessee has strict concussion procedures it sticks by. If it is a mild concussion as we’ve heard there’s a good chance there is, the star freshman should be able to take some time off to get that straightened out and then return at some point during the bowl practices. Center Mack Crowder dressed out against Vanderbilt and moved around well in warm-ups, but wasn’t quite ready to go. He should return when the Vols return to the practice field. Defensive tackle Trevarris Saulsberry has a great chance to play in the bowl after returning to practice on a limited basis last week. Receiver Jason Croom and defensive end Corey Vereen will also benefit from some rest after playing a bit banged up against Vandy. Running back Devrin Young (ribs) is one player weren’t not sure on, though it might be hard for him to win back his kickoff return job from Evan Berry at this point. The Vols could use depth in the backfield, however, with Hurd’s situation and the fact that Derrell Scott could be eligible for a medical hardship season after only appearing in one game with various injuries throughout the season. That would mean Scott would not play in the bowl game, though we’ll see how the coaches want to handle that situation moving forward. 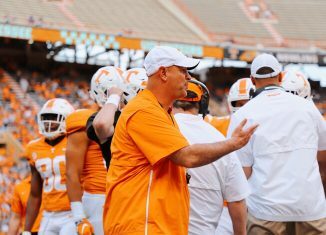 Tennessee will get 15 extra practices to prepare for the bowl game with some coming in Knoxville and the rest coming near the bowl site. The schedule will be TBD as the Vols will await their bowl destination. The practices will be big from a developmental standpoint, but also just from the standpoint of having the players around campus for most of the month and keeping them in the strength program and watching film. The program hasn’t had that the last three seasons and that’s a lot of missed reps and weight-room sessions. Obviously everybody wants to know where Tennessee will end up. Our money is on the Music City, Liberty or Belk Bowl, though we can’t go as far as to eliminate all others. From a resume standpoint, Tennessee doesn’t really stick out from the other mid-tier SEC teams, but geography and fan support clearly play into the Vols’ favor as the SEC works with schools and bowls themselves to assign teams to the pod of six bowls (Music City, Liberty, Texas, Belk, Outback, Taxslayer). The SEC now likely only getting one team into the College Football Playoffs could have somewhat of a domino effect on the conference that could reach down to Tennessee. But we think UT likely makes it into the pod of six bowls, and if not, the Birmingham Bowl, which has first selection after that, would likely be glad to scoop the Vols up. And speaking of Birmingham, UT’s opener next year against UAB in Nashville is in serious jeopardy as the Blazers appear to be on the edge of having their football program shut down. 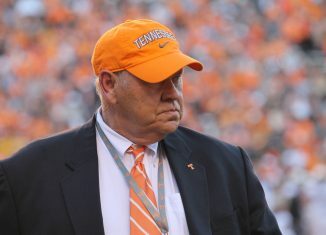 The Vols would be owed just short of $1,000,000 for the Blazers breaking that contract and that money would certainly be used to go out and find another opponent to fill that slot as Tennessee would like to keep that game on the same date in Nashville. With just one bye week next year, the schedule it tougher to switch around and the Vols already have their FCS opponent (Western Carolina) booked as well, so they have to find an FBS one for the opener unless they buyout WCU themselves and replace them. We touched on this issue yesterday, but this will be a story that will continue to stretch into the offseason until there’s a resolution. 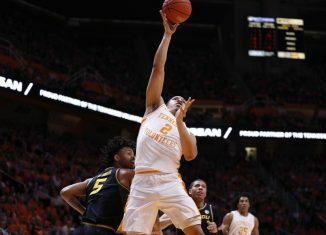 The Vols went 1-2 in the Orlando Classic over the weekend, with a victory over Santa Clara, a hard fought loss to Kansas and a tough defeat at the hands of Marquette. Tennessee sits at 2-3 on the season headed into three tough games. Kansas State comes to town this Saturday (3:15 pm, TV: ESPN2). 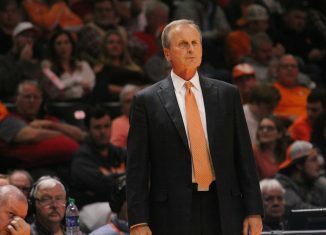 The Wildcats are ranked 65th in KenPom.com’s updated rankings – the Vols are 97th. After Kansas State, the Vols face Butler (Sunday December 12th, 2 pm TV: EPNU) – a squad that knocked off No. 5 North Carolina last weekend and is ranked 39th by KenPom.com. 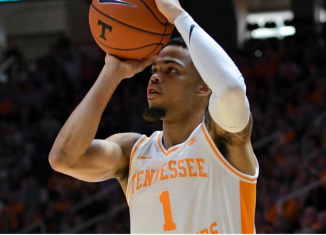 The Vols then travel to North Carolina State (December 17, 7pm TV: ESPN2). That’s a tough three-game stretch for the young Vols before they return home for four-straight home games against teams they should beat. On the NCAA turmoil front, things are likely to remain relatively quiet through Christmas. Southern Miss and Donnie Tyndall should receive a notice of allegations sometime in January. That notice doesn’t have to become public – it will be up to the discretion of each institution how much is made public. Once the letter is received, the receiving party will have 90 days to respond. Multiple sources have indicated Tyndall is unlikely to escape this without some form of punishment. While this could always change, don’t expect a ton of information on Tyndall’s future or the allegations between now and January. 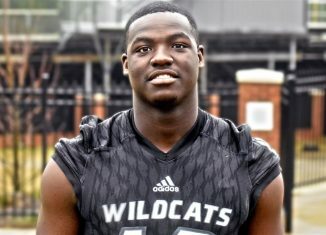 Last week was a slow one on the recruiting trail as all of the coaches had their focus solely on the Vanderbilt game and getting this team bowl eligible. 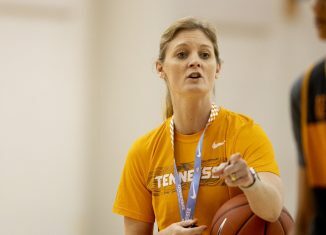 But now that the regular season has ended, the recruiting scene is a bout to heat up for Tennessee in the coming weeks. As of now, December 12th will be an enormous visitor weekend for Tennessee. 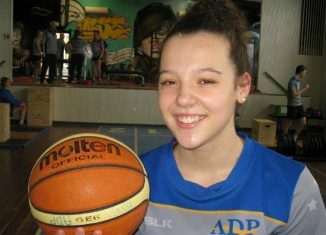 Expect multiple big name targets to be in town that weekend, as well a large portion of committed players. 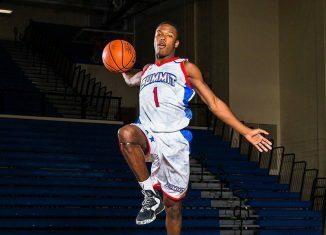 As we said last week, Kyle Phillips will be in town for his final official visit on the weekend of the 12th before making his decision shortly thereafter. Phillips will be enrolling early at his school of choice, so getting his last visit could prove huge for the Vols. 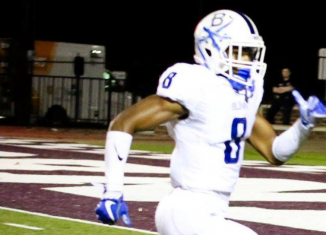 Phillips appears to be down to Tennessee and Ole Miss at this stage of his recruitment, so getting him to campus on a weekend when so many other future Vols will be in town should certainly help Tennessee’s chances of landing the mid-state standout. Committed players that will be in that weekend include Quinten Dormady, Chance Hall, Alvin Kamara, Stephen Griffin and Jauan Jennings among others, but expect that list to change considerably over the next two weeks – because this is recruiting and everything is fluid. 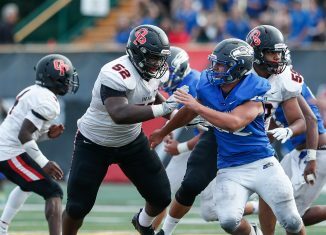 There will also be a few prospects in town this coming week for official visits and Andrew Butcher will be one of the current commits in attendance. Butcher joined fellow Vol commits Jauan Jennings and Jack Jones in Nashville over the weekend to take in Tennessee’s game against Vanderbilt. This was a day after Butcher swung by Murfreesboro to watch Jones’ Oakland squad face off against the Maryville Rebels and fellow Vol commit Dylan Jackson on Friday. We saw it with last year’s class, and I think that these tweets illustrate that Butch Jones and his staff really doing a nice job of getting committed players connected with each other during the recruiting process. Last year’s class was a very tight-knit group well before Signing day rolled around and this year’s class looks to have followed a similar trajectory. It was also announced this week that Jauan Jennings looks to have positioned himself as an early enrollee and should be joining the Vols in December. This is a dream scenario for Tennessee, as they will now have their two potential quarterbacks of the future (Jennings and Quinten Dormady) on campus to go through bowl practices and all of spring practice. This will put both players roughly thirty practices ahead of where Joshua Dobbs was when he took his first snaps last season against Alabama. The importance of these added practices for the development of young quarterbacks cannot be overstated. 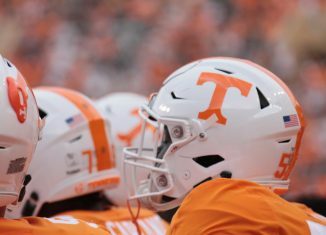 If Tennessee can add Kyle Phillips and/or Darrin Kirkland Jr. to this list, as well as perhaps a surprise player or two, then the Vols will once again have put together an outstanding nucleus of young players at crucial spots that could be in a position to help the team during their first year on campus. 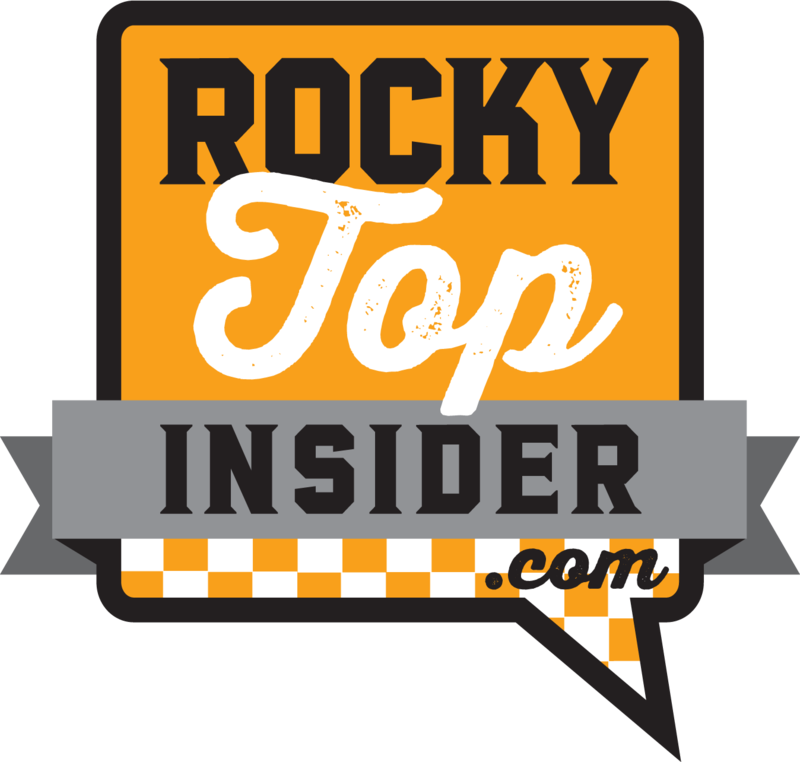 We’ll have a lot more recruiting information in the the near future as Tennessee’s staff closes in on the final 60-or-so calendar days of this cycle to put together the remainder of the 2015 class. Finally, if you missed our Commitment Stats post from Saturday, go ahead and give it a look. Micah Abernathy and Vincent Perry had huge nights for their respective squads to help them advance onto the next round of the playoffs.